Nature’s Work has a proven track record of delivering a high level of expert training to teaching staff. We provide innovative outdoor learning opportunities for teachers wishing to take groups into the outdoors for curriculum focused learning. 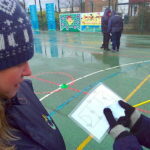 Our courses are designed to build confidence and to develop the skills and to provide the resources necessary to organise and run outdoor sessions. Our courses are fun and enjoyable and encourage learning. A fantastic curriculum-related resource to support teaching beyond the classroom. provide a practical and easy to follow series of activities that are designed to engage young people in environmental learning. 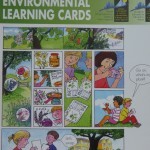 The aim of the Cards is to provide teachers, youth workers and outdoor professionals with a series of easy to follow environmental activities that can be undertaken around or close to the school, centre or other outdoor setting. Nature’s Work works with teaching staff, teaching assistants and student teachers to deliver full day, half day or after school sessions of two hours. 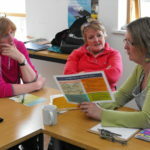 These popular practical sessions offer a wide range of comprehensive ideas and a resource pack for each participant. We run workshops and courses across the UK and can also provide bespoke training to suit your specific needs. We welcome your enquiries and are very happy to discuss your requirements.